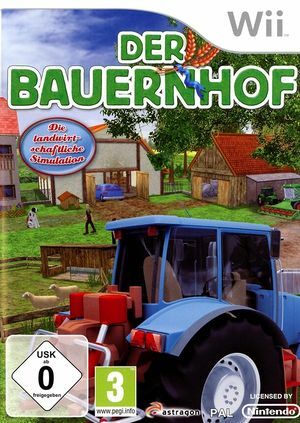 Immerse yourself in life on the farm in all its facets in Der Bauernhof. Feed the animals in the yard, cultivate beds and fields and sell the won products profitably in the city. Newly purchased equipment, additional hired workers, the purchase of additional animals and the cultivation of different plants help you to increase the capital and to operate profitable agriculture on a large scale. If you have enough capital, you can expand your farm. The farm offers entertaining fun for young and old! The graph below charts the compatibility with Der Bauernhof since Dolphin's 2.0 release, listing revisions only where a compatibility change occurred. This page was last edited on 17 February 2018, at 02:39.